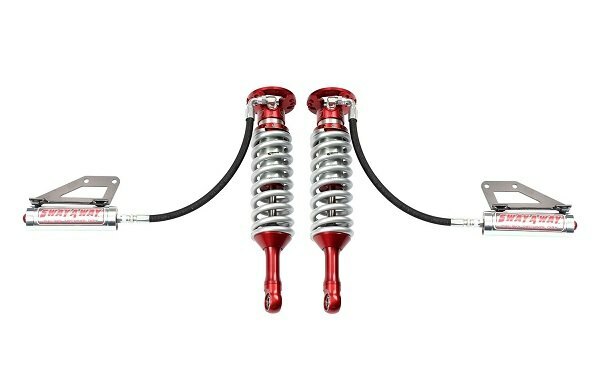 Buy aFe shocks for your F-150 at CARiD - Save up to $200 - Ford F150 Forums - Ford F-Series Truck Community. Great news for everyone planning on complete or partial suspension components replacement! 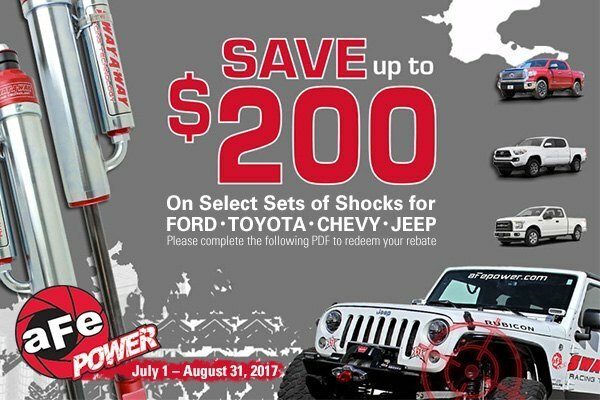 The largest sale on aFe performance off-road shocks is already taking up its speed at CARiD! Purchase any of selected aFe Sway-A-Way shocks for your F-150 and receive $100 rebate per pair of shocks, or $200 for a complete set of front and rear shocks. Intended to withstand everyday abuse, aFe shocks are guaranteed to perform well for years. Developed in collaboration with Sway-A-Way company, the leader in high-performance suspension components manufacturing, aFe shocks will impress you with their durability and quality. 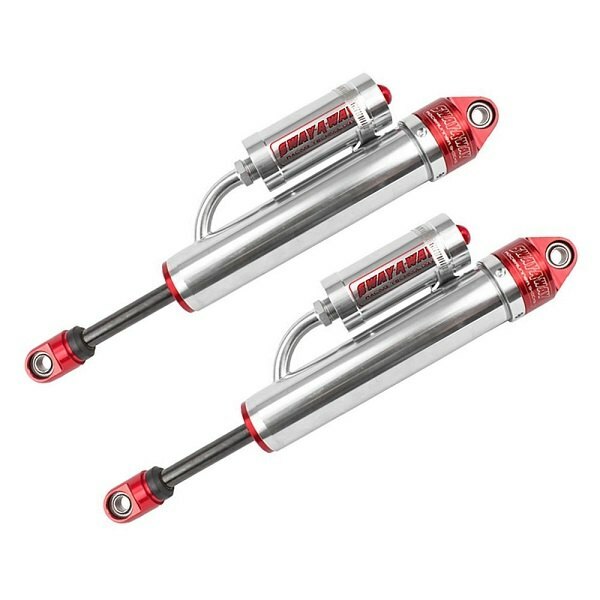 They could easily last longer than regular shocks, preventing bottoming and excessive wear of driveline components. The kit comes pre-set for 2"-2.5" of lift. Off-road shocks and much more aFe suspension components can be found at CARiD! Hurry up, as this offer expires on August 31, 2017. Make sure to complete the PDF form below to get your money back!